Time to break out your polyester suit and put on your boogie shoes. It’s been 40 years since “Saturday Night Fever” became a cultural touchstone like few movies before or since. The film stars John Travolta, as a Brooklyn paint store clerk who lives for his weekend glory at the local disco club dance floor. Self-absorbed and misogynistic, Tony Manero becomes somewhat more enlightened when he meets a beautiful dancer at the club. Travolta earned his first Oscar nomination for his performance in that film. On Sunday May 7 and Wednesday May 10, movie lovers can “catch the fever” all over again when Fathom Events and Paramount Pictures bring a brand-new director’s cut to theaters for two days only. The film’s soundtrack sold more than 40 million copies and includes such Bee Gees hits as “Stayin’ Alive,” “Night Fever” and “How Deep Is Your Love”—will play in nearly 700 theaters nationwide for those days, at 2 p.m. and 7 p.m. (local time). Tickets are available now at www.FathomEvents.com. 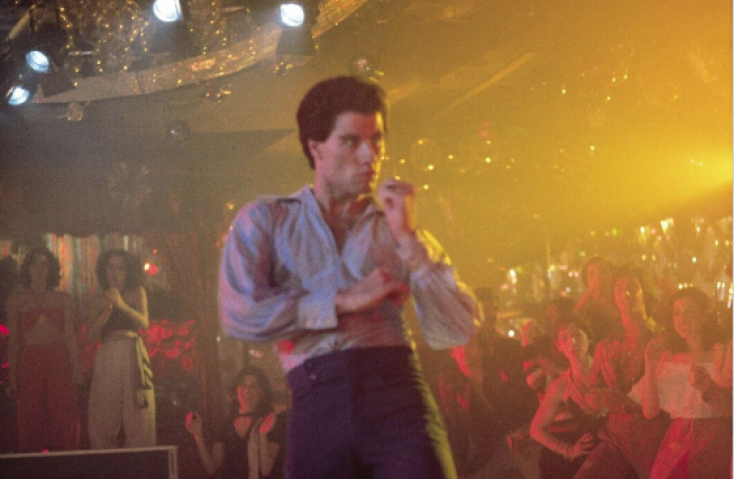 Marking the milestone anniversary, director John Badham has restored “Saturday Night Fever” from the original negative, updated the surround-sound mix and added scenes to the original theatrical version, making this new Director’s Cut the definitive representation of his original vision.